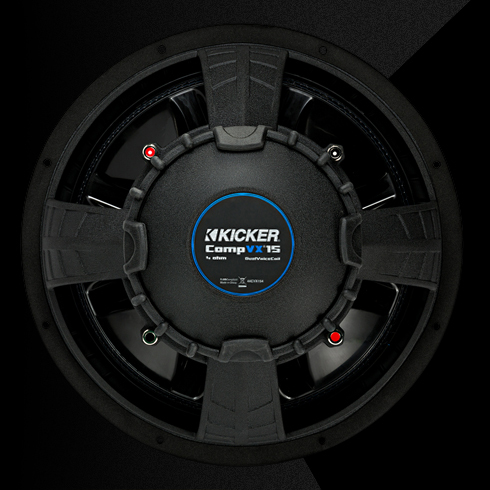 The KICKER® CompVX™ features, high power handling, multiple wiring options and extraordinary thermal management to deliver outstanding bass reproduction without distortion. 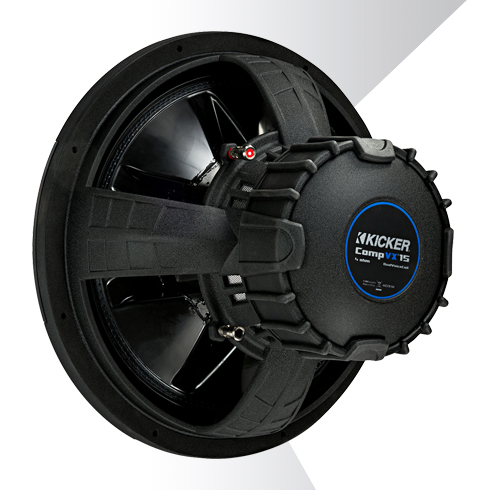 With up to a 2,000 watt peak power rating, the CompVX is purpose-built to handle massive amounts of bass. We know you love Livin’ Loud! It’s all about a solid foundation. The forged Aluminum frame, creates an ultra-stable base that also pulls heat from the motor. With the CompVX, your bass plays loud and long! A cool woofer is a happy woofer. 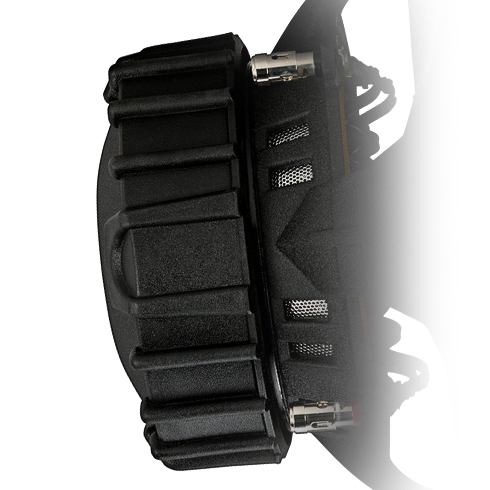 Perimeter venting in the back bracing and along the spider landing provides max air flow, while the UniPlate™ extended pole piece & backplate allow additional heat dissipation. 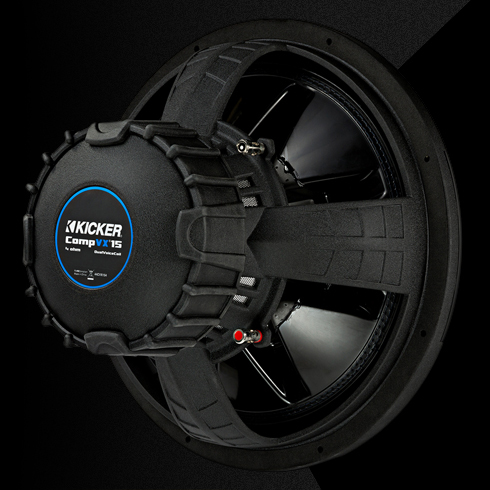 The ceramic magnet and extra stout voice coils do more than handle massive power. 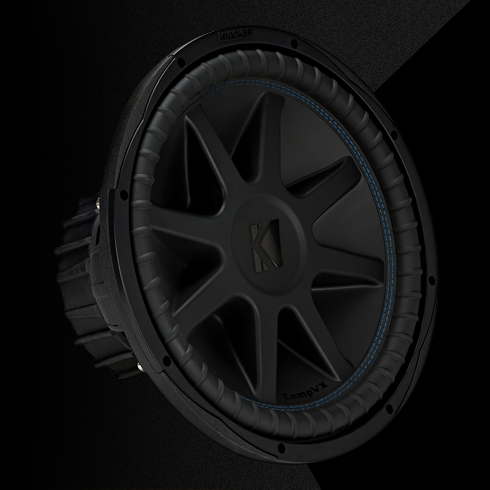 Together, they are the beating heart of your sound from the absolute authority in bass! 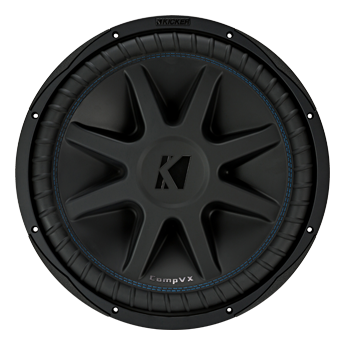 Thanks to advanced speaker technologies like SoloKon™ cone reinforcement, 360 degree back bracing and an oversized suspension, you get very low distortion and incredible clarity at any volume level.